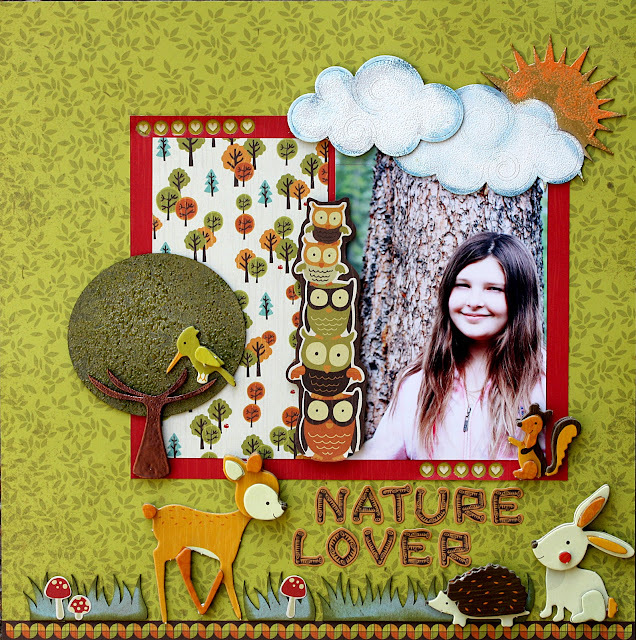 National Scrapbook Day has come and gone…and I am still in creative heaven after spending 3 days on a scrapbooking retreat with the amazing team from Canadian Scrapbooker magazine. Good times, belly laughs and special friendships….all make for the perfect scrap happy event! Here is the sketch by Jill Sarginson…. And here is my layout…. BabyOfTheFamily is a child of nature and is happiest outdoors, enjoying God’s creatures, great and small. Did I interpret this sketch exactly or what?? ha ha! I couldn’t help it really. 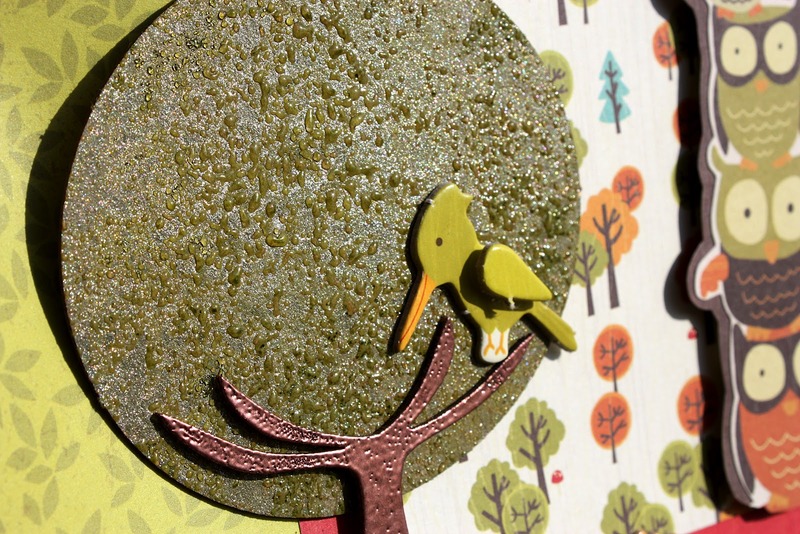 The KaiserCraft papers were perfect for my design concept ….and I had a wonderful sheet of raw chipboard from Magenta (the tree, grass, clouds and sun). 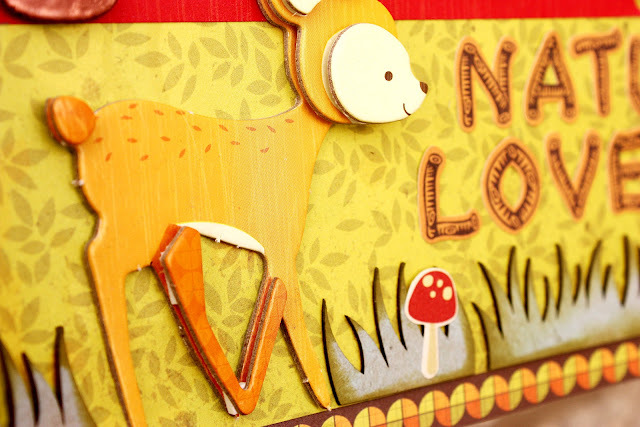 The layered chipboard animals (including Bambi here) and stickers are all from the KaiserCraft “Tiny Woods” collection. So Cute! I decided to alter the Magenta chipboard pieces with Clearsnap‘s new Donna Salazar Mixed Media Inx and embossing powders….LOVE them! 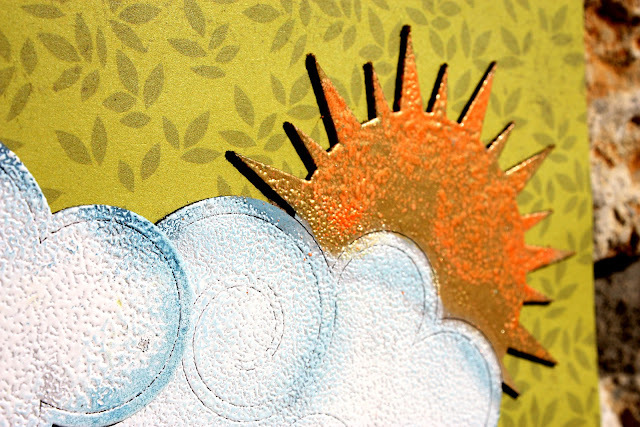 After inking and embossing the clouds with “Jasmine”, I edged them in blue “Denim” ink. 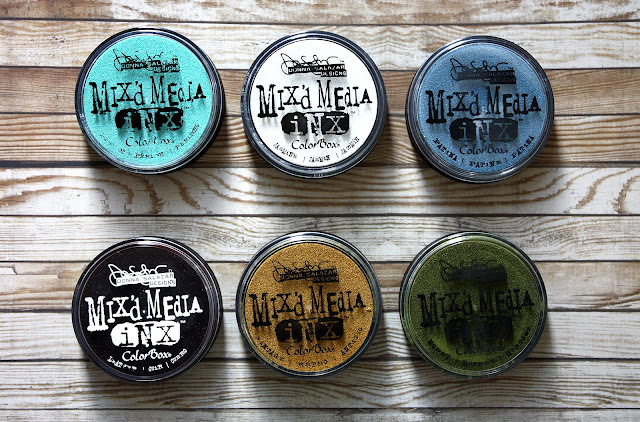 These are pigment inks and are wonderful to work with. In fact, I’m determined to do more stamping, embossing and inking techniques on my layouts. I am so lucky to be able to learn from the amazing Cathie Allen, who is a creative genius when it comes too ALL things crafty. The way she uses stamps and inks is…..WOW. You know what I love most about the Donna Salazar Mixed Media Inx? Their names! ha ha! Here’s a deep dark yearning of mine: I want a job naming inks! Yes I do. In fact, at the retreat last weekend, I announced this “wish” of mine and did some brainstorming of ink names. Mind you, this collection of inks is for crafters who are age 40+ …. What a truly DELIGHTFUL lo! LOVE! oh….what a lovely photo of your baby girl! darling page! ps, thanks for the lovely comment on Tessa’s page! you know….all good things are from mom…hahahahaha!! just love your details on embossing those gorgeous Magenta shapes!!! And you know I would buy all your ink colors…… don’t forget anti-wrinkle CREAM and Bifocal BLUES!!! beautiful…hehe I want to scrap with you too…to too funny!!!!!!!! OH Kelly you’re too funny! I”m sure the menopausal and post-menopausal women may find that hard to resist! BUt, you’re not there yet?! And, I love what @Connie Nichol had to say- anti-wrinkle cream and bifocal blues. Perfect! 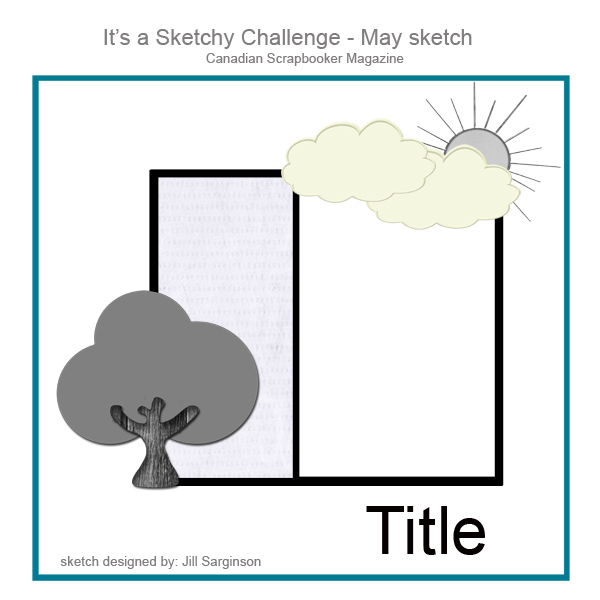 The sketch and your interpretation of it is perfect and simply adorable! Makes me want to try it out now! Cute, very cute post and great LO! I have one ready with this sketch too:), was fun! Best regards! Love your layout Kelly and you are too funny! OMG! Too funny Kelly! Those inks would be BIG sellers for the over forty bunch LOL!Love your take on the sketch and love the embossing on the chippie pieces! You crack me up. I love those names you came up with. They are so fun. And this page is just adorable! HAAAaaaaaaaaa haaaaaaaaa love it Kelly, I think you SHOULD have a job with Clearsnap!!! You are so funny 🙂 Cute LO!!! bwahahahaahha! You are hillarious!! I love that layout your chipboards look fantastiC! You rock girl!!! This is fabulous!! Hee! Your post really made me smile. Love those names. And of course, I love and adore your page. Great pic and fab techniques. What a wonderful NSD weekend that must have been. I would hire you in a second, Kelly!!!! I love the names, too, and would love to hear more of yours!!!!! Your layout is so awesome! I am very, very jealous that you had such a fun weekend, too! Now when are you coming to visit PA????? Thanks for the giggles this morning! Your creations are stunning girl.. Love what you did with the clouds. Fabulous lo’s!